Welcome to our vineyard, winery and Cellar Door. 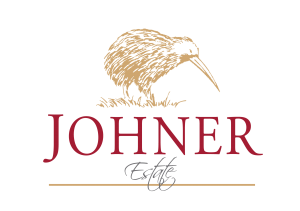 Situated in Gladstone, the heart of New Zealand’s Wairarapa Wine Region, Johner Estate is hands-on, family owned, and exporter of wines around the globe. The picturesque vineyard follows the course of the ancient Ruamahanga River, and is set in a beautiful and idyllic setting. Free draining alluvial soils and a cool but dry climate, create the setting for the story that is our wine. Our philosophy is to nurture both our land and our people, to produce memorable wines that express a complex personality.